New Slimmer And Pure Filtered Water. Aqua Kent Dispensers incorporates an advanced certified 4 Stage Filtration System that produces pure filtered water. Aqua Kent’s system comes with a fully automatic operation allows hassle-free operation without the need of manual intervention. The elegant LED indicator is sleek and minimalistic. 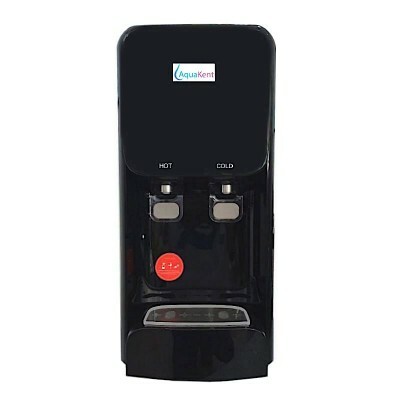 Aqua Kent Hot and Cold water purifiers comes with a built-in water filter system that is connected directly to the water source. Instant hot water for making hot drinks and noodles without waiting for water to boil. It’s 100% safe and offers a crisp, clean tasting water that boiling water doesn’t have! Stay protected with our 4 Stage Filtration Process that purifies water efficiently. Aqua Kent hot and cold water dispensers have a high-efficiency fast heating and cooling system that saves electricity. Built-In SMPS to Save Your Electricity! Aqua Kent dispensers incorporate a built-in SMPS(Switching Mode power supply) instead of a standard power adapter. This enables the purifier to function at maximum capacity despite frequent power fluctuations. This helps save energy and is environmentally friendly. 1 Year Product warranty shall be effective from the date of installation. Get yours now. Call Now!